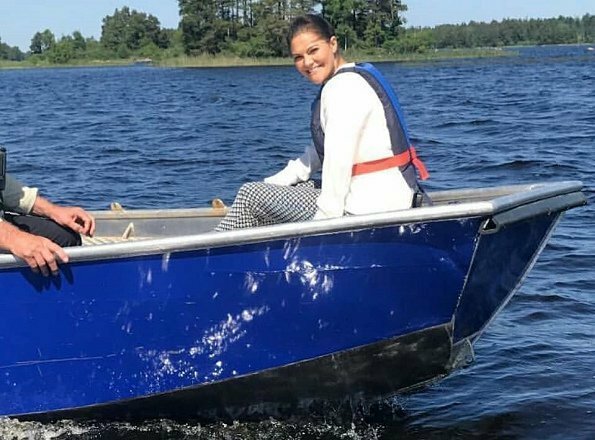 Crown Princess Victoria's 11th hiking in the landscape of Sweden took place in Småland on May 25. 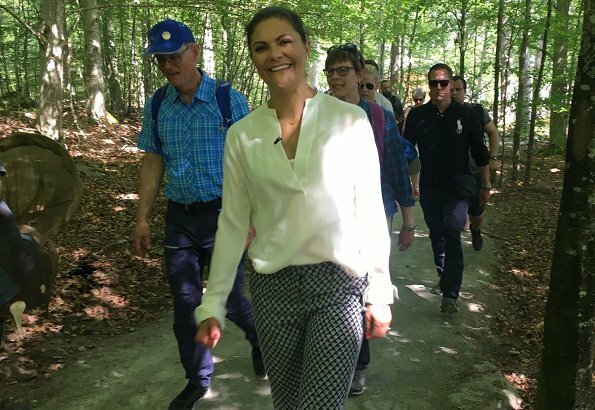 The route of Crown Princess Victoria's 11th hiking continued with Trollberget, Huleviks harbour and Hunshult Nature Reserve which is on the shore of Åsnen Lake. 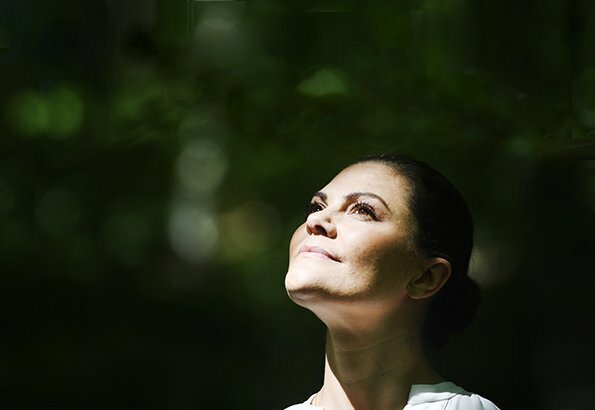 During the hiking, the Crown Princess observed the rich bird life around Åsnen Lake. The lake area contains an significant valuable and rich birdlife. 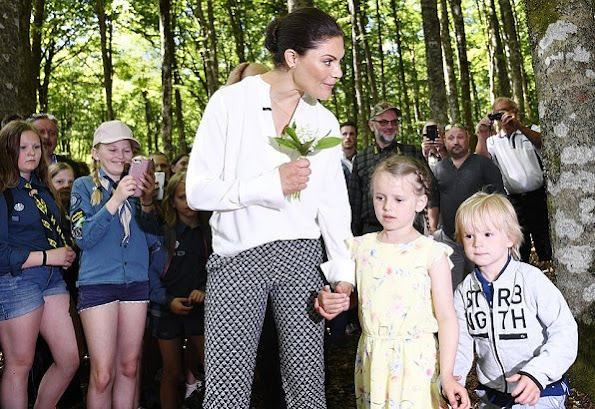 The Crown Princess hiked through Bjurkärr forest and arrived in fruit gardens and there, she met with children. Then, the Crown Princess attended opening of Åsnens National park. The birthplace of one of my heroins - Astrid Lindgren! Beautiful landscape & beautiful Victoria! My province! 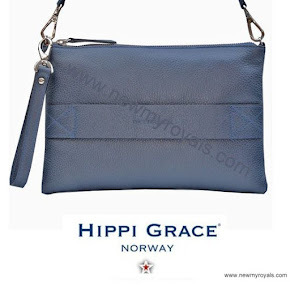 :) Those are some beautiful places for her to see! I really like her pants, and white shirts are always fresh looking. I'm just amazed she could wear long pants and a long sleeved shirt in this weather, it's so warm here at the moment. She is so beautiful and relaxed on this events, she really loves her country and people. 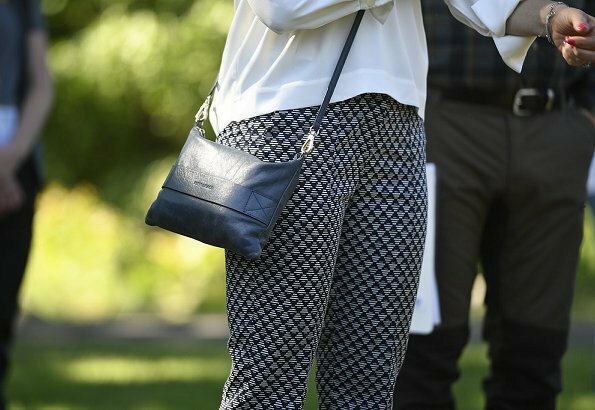 I like her trousers and the blouse! Amazing already the 11th hike and she still is as perky as she was at the 1st one.She loves Nature and her People, what else would you want,oh yes her beautiful smile of course. Es ist völlig egal, was sie anhat - dieses umwerfende Lächeln macht sie sowieso zur schönsten Frau überhaupt. Wahnsinn, sie leuchtet wirklich von innen heraus. Was für eine tolle Frau. Ist das Estelle auf dem einen Foto, die sie an der Hand hat ? Lovely pictures. Love her outfit and her smile. 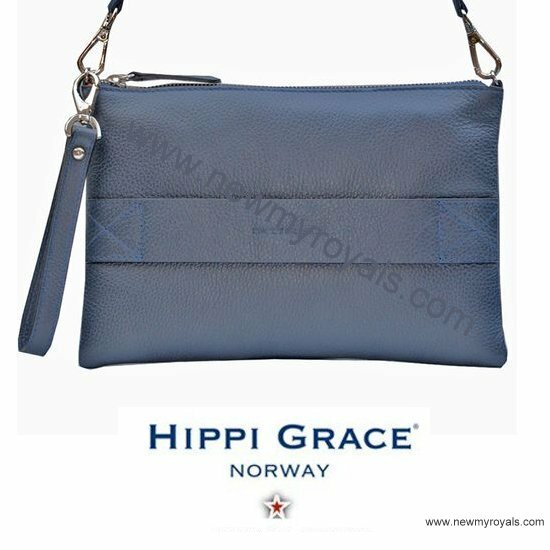 Princess Victoria of Sweden looks wonderful.